Adderall consists of two chemicals, namely amphetamine and dextroamphetamine. It acts a stimulant of the central nervous system. It alters the chemical composition of the brain and makes it easier for the neurotransmitters to carry messages between brain cells. Adderall can only be legally obtained through a prescription. It can be consumed in doses of up to 30mg. The FDA has approved Adderall for the treatment of attention deficit hyperactivity disorder, depression, obesity, and the tendency to fall asleep even during the daytime. Adderall regulates symptoms of ADHD, such as difficulty in concentrating, and excessively fidgety behavior. However, it is important that you’re aware of how amphetamines can affect your body. Not all of its effects are desirable, some range from being minor bothers to being downright unpleasant. These include constipation, loose motions, dry mouth, giddiness, poor appetite, loss of sleep, retching, and stomach pain. 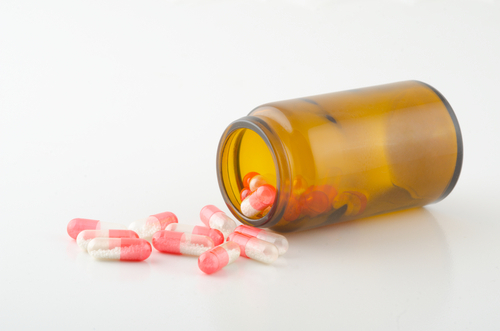 Adderall is also used for treating conditions for which it has not been cleared by the FDA. Non-medical use of Adderall for achieving a high, staying awake, and maintaining focus is a form of substance abuse and should be avoided. This can quickly lead to dependence and then the user has to contend with Adderall withdrawal symptoms. The symptoms manifest within a few hours of last taking Adderall. These include a general lack of interest in anything, extreme tiredness, depression, and extended periods of sleep. However, Adderall is not classified as an addictive substance. It is comparatively easier to wean oneself away from this prescription medicine because the withdrawal symptoms are not particularly severe. The risk that people face is of moving to other more powerful drugs, and these drugs are invariably addictive. Therefore, it is vital that you do not abuse Adderall in any manner. This drug, potentially easy to abuse, is a classic gateway drug to other substances. If you or any of your loved ones exhibit the signs of Adderall abuse mentioned above, then you need to seek counseling from a therapist.